Aloha from fake Hawaii! Today is Lei Day in Hawaii and that means it’s time to pretend to be in paradise. 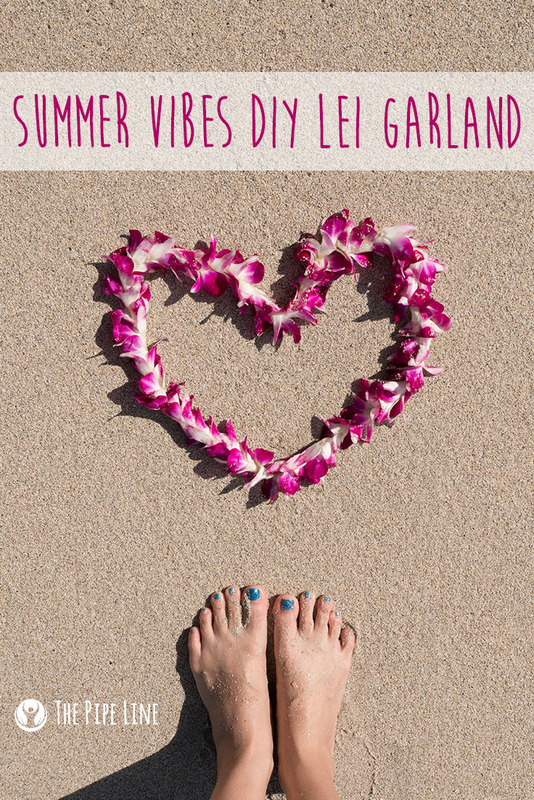 Naturally, it would be amazing to book a flight and jet-set to the Big Island, yet, logistically daydreaming about the festivities taking place there with a DIY project seems the better option. So, with that said, put on your best hula girl (or man) outfit and get ready to be Hawaiian approved. Better yet, gather your kids and their friends to make this a cute craft day while celebrating with Hawaiian inspired snacks! 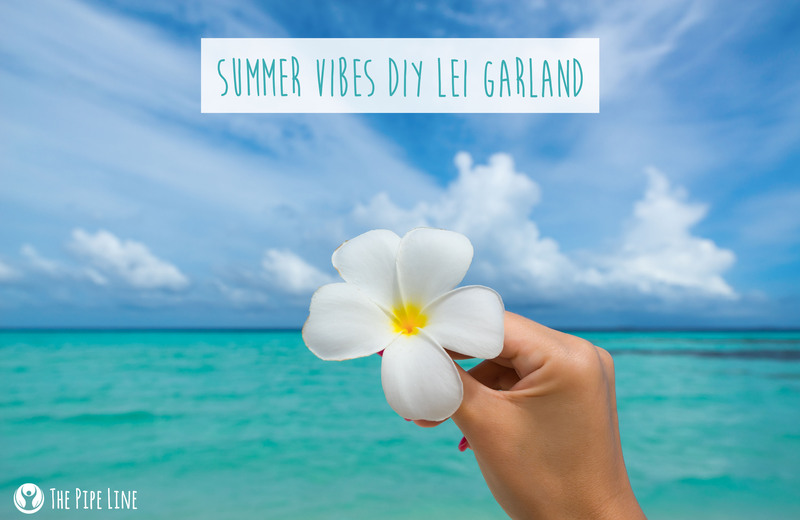 To know what you’re celebrating, this holiday came about back in 1929 when Don Blanding (a writer) thought that Hawaii needed a day to admire the state’s staple necklace: the lei. The idea was brought to life and set to be May 1st by another writer, Grace Tower Warren, who thought “May Day is Lei Day” would prove memorable. The point is to celebrate the island’s tradition of making the lei and wearing them proudly. Throughout the island, festivals and parties can be found being held—it’s a fun state holiday that all get involved in! And with summer coming, why not get in the warm weather spirit anyway? the flowers to the back of the yarn. (If with kids, do this step for them). +Add 1 drop of the Plumeria Oil to each of your flowers for a yummy scent! +Hang up and show off your creation! While making your totally cool leis, serve this chilled punch recipe that is both colorful and fruity! A definite refresher for your Hawaiian inspired staycation. Mix together the above ingredients in a pitcher. Serve over ice with a tiki umbrella and a maraschino cherry!